The new diagnostic features included in the IDC5 OHW update 19.0.0 allow working on a large number of vehicles that belong to makes of the most popular manufacturers. The work TEXA's developers carried out on agricultural vehicles, telescopic handlers, forklifts, construction vehicles and special vehicles guarantees all mechanics the opportunity to use diagnostic tools that are always updated and stateof-the-art, to operate successfully on the vast majority of vehicles on the road. 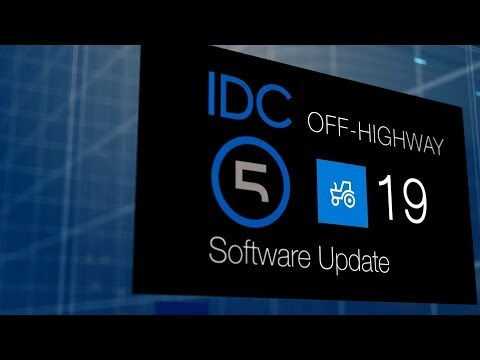 IDC5 OHW 19.0.0 includes new possible selections for the major makes that are on the market worldwide, among which: CLAAS, DEUTZ – FAHR, DOOSAN, GENIE, CNH Group (Case IH, New Holland and Steyr), HOLDER, HURLIMANN, HYUNDAI CE, JCB, JOHN DEERE, JOHN DEERE CE, KRAMER, KUBOTA, LIEBHERR, MERLO, SCANIA ENGINE, VOLENTIERI PELLENC, WACKER NEUSON. The OFF-HIGHWAY update 19 also offers new, very useful Wiring Diagrams and DASHBOARDs.